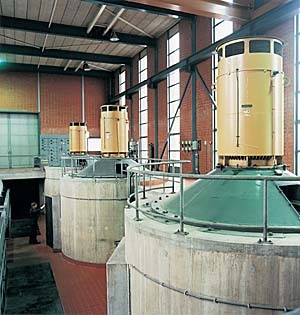 Vertical dry-pit design consists of a removable, metallic pump pullout unit within prefabricated concrete volute. The suction bell is connected to a preformed, concrete intake suction box. Massive concrete pump construction substantially reduces noise and vibration and also provides excellent corrosion and erosion resistance. 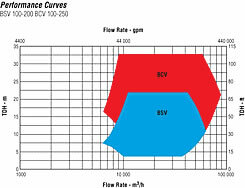 Impeller Options include open mixed flow and closed mixed flow types. Pumps may be driven directly or through a gearbox.